Winter is upon us, and so starts the long heating season in the Midwest. Whether you already use biomass as a heat source, or you are considering a wood burning appliance as a backup or primary heat source in your home, you should inspect your system. This will help you to enjoy these long cold months in comfort while staying safe and using your resources efficiently. Here are a few tips to make that possible. 1. Clear all combustibles from around your stove and flue. a. It is recommended that all combustible materials should be at least three feet away from your appliance, to include the area around your flue pipe. b. Make sure the flue pipe is adequately isolated from transferring heat to the ceiling or roofing materials. c. A freestanding stove should have a noncombustible surface underneath. 2. Keep the inside of the flue pipe clear. a. Clean out creosote buildup to prevent dangerous chimney fires. b. Check the outlet for nesting materials or other blockages to prevent a backup of carbon monoxide or other combustion gases in your living space. 3. Verify the physical condition of your stove. a. Check and repair cracks, bad door seals, and flue pipe connections. b. Are inlet and outlet dampers in good working condition? c. What is the condition of the lining inside your firebox? 4. Is your wood pile of adequate supply and quality for the season? a. Wood should be properly seasoned to burn the most efficiently. b. Keep wood stacked under overhead cover to protect from precipitation, and with good natural air circulation. c. Split wood will dry easier, and burn more readily. These are just a few of the things to think about to make sure you can enjoy the comfort that comes from renewable wood heat without worry. Enjoy your holidays everybody! Regarding wood heating, the EIA notes approximately 2.1 million households, or 2 percent of U.S. households, currently use cord wood or wood pellets as a primary residential space-heating fuel. The EIA estimates another 8 percent of households use wood as a secondary source of heat, making wood second to electricity as a supplementary heating fuel. Bioenergy Day is an annual event when all involved in bioenergy—whether businesses, non-profits, government agencies or universities—recognize the economic and environmental contributions of bioenergy, a renewable energy source with many applications including power generation, heating, cooling and transportation fuels. On Nov. 1, leaders of the U.S. EPA, USDA and U.S. Department of Energy sent a letter Congress describing the agencies’ work to ensure consistent federal policy on forest biomass energy and promote policies that encourage the treatment of biomass as a carbon-neutral energy solution. The letter, delivered to the House and Senate Committee on Appropriations, references the Consolidated Appropriations Act of 2018, or H.R. 1625, which was signed into law by President Trump on March 23. The law included congressional direction and emphasis on the importance of the U.S. forest sector to the energy needs of the country. In the letter, Acting EPA Administrator Andrew Wheeler, Agriculture Secretary Sonny Perdue, and Energy Secretary Rick Perry confirm their agencies will work collaboratively to meet the directives laid out by H.R. 1625. 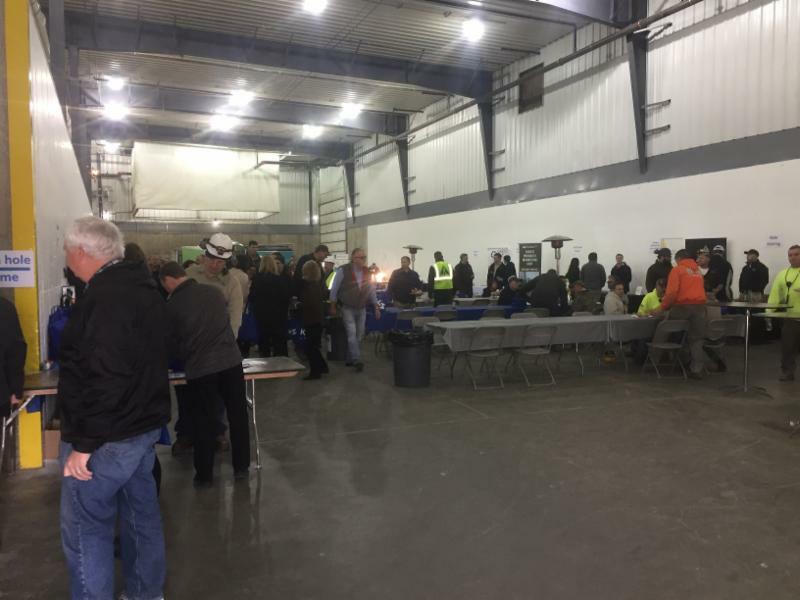 Koda Energy held an Open House and Sustainability Expo to celebrate Bioenergy Day on October 24 th . 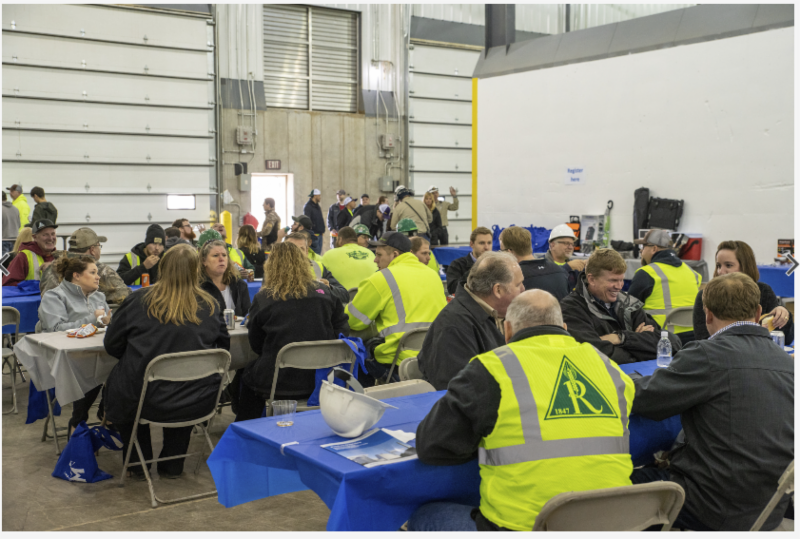 Over three hundred guests attended the event from all walks of life, to learn about the benefits that bioenergy provides in the Midwest. Five tour guides worked non-stop during the event, bringing groups of people through tours of the Koda CHP facility and one of the malt houses at Rahr Malting. Approximately five hundred hamburgers were cooked on a Woodmaster pellet grill and fed to guests. ( a big thank you goes to Jill from Woodmaster for being the head chef in this effort! ) I would also like to thank the thirteen separate entities who presented information at their tables to help educate the attendees at the expo, they all did a tremendous job helping to spread awareness of the benefits of bioenergy and sustainability. The 2019 Wood Stove Design Challenge took place from Nov. 9-13, featuring 10 stoves in competition and 3 showcase stoves. The stoves were selected and judged by members of Organizing Committee. The Alliance for Green Heat (AGH) was the principal architect, organizer and host of the event. Each of the 10 competition stoves received a $10,000 grant made possible by the DOE’s Bioenergy Technology Office. Energy Education at the Local Level Grant Program The Minnesota Department of Commerce State Energy Office has developed a small grants program to promote energy education at the local level. The program will award grants of up to $5,000 to carry out energy education initiatives. It is available to qualified applicants, either individuals or partnerships, who are educators (pre-K through grade 12) at schools, youth groups, educational programs, nonprofits, or other civic organizations.